Your actual or potential retirement allowance from the Dukes County Contributory Retirement System is generally considered to be marital property. As such, it is subject to valuation and division in a divorce just like other marital property, such as bank accounts and real estate. If your former spouse becomes an “alternate payee” by court order, your former spouse may become entitled to receive a share of your retirement benefits pursuant to the terms of a Domestic Relations Order (“DRO”) which is part of the property division between the parties. Not all divorce settlements automatically include a DRO, and this is something that should be discussed in detail with your legal counsel. A DRO must comply with all provisions of the public employee law, G.L. 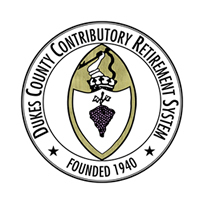 c. 32 and be approved by the Dukes County Contributory Retirement Board.